Originally endemic to six of the Visayan Islands of the Philippines, the warty pig now only occupies two of them; Panay and Negros. It is extinct on the other four islands. The decline of the these wild pigs is almost entirely due to the activities of the local population. They have been hunting, eating and wearing the Visayan warty pigs for a very long time; and, as if that were not enough, have managed to destroy ninety-five per cent of the animal’s habitat. Retaliation attacks by farmers have also taken their toll on the population. With only five per cent of their original territory left, the pigs are now persecuted for crop raiding, in their hunt for food on what was originally their own home ground. Then, there are the local farmers who view the warty pigs as pests. They trap them in pits and use snares. In some areas explosives have been sunk into the ground, which have been activated by the rooting pigs. In general, there seems to have been a ‘by any means’ policy, which has almost wiped this species out in the wild. Not forgetting the poor old things are seen as objects of sport for ‘recreational hunting’ (who, in their infinite wisdom, coined that expression, is anyone’s guess!). In all, the lot of the Visayan warty pig has not been a very happy one. As far as pigs go, the warty pig is relatively small, although the males are almost four times bigger than the females. At most, males reach a height of twenty-five inches at the shoulder, but can weigh up to one hundred and eighty pounds. They have some fairly distinctive features, too. As their name suggests, facial warts are one on them. Surprisingly though, they are not large protuberances, but they are tough. These are thought to help protect the pigs’ faces when fighting, as any combat between wild pigs involves the use of tusks; the tusks being large canines which extend from the mouth. Leathery skin and matted hair across the shoulders are also thought to help protect the animals. The rest of their bodies are sparsely covered with bristles topped with reddish-brown to black hair on the crown. Both male and female have a conspicuous white stripe which crosses the bridge of the nose (usually less apparent in females) which is another unique characteristic of the warty pigs. No other island pigs have this marking. Visayan warty pigs live in family herds, known as ‘sounders’, each containing an average of four to six individuals. These sounders usually comprise a single adult male with females and youngsters of both sexes. Although this number is typical, larger sounders of up to twelve or more can also be found. When threatened, boars raise their manes, rather like canids raising their hackles, giving themselves the appearance of being larger and more intimidating than they actually are. Though those tusks are quite scary on their own and perhaps best avoided. Despite this, these animals are not known to be particularly aggressive. In fact, these highly social creatures have been recorded as being friendly in captivity and, like most members of the pig family, they enjoy wallowing peacefully in mud. The breeding season for Visayan warty pigs is January to March. Boars display unusual courting behaviour at this time and the spiky hair around the neck grows into a long floppy, very impressive mane, which falls over the face and obscures the eyes. This other stunning distinction usually wins the sows over instantly. The mane is shed after the breeding season is over. Following successful pairings there is gestation period of one hundred and eighteen days after which two to four piglets will be born. They are extremely protective of their young and will display aggression if anything poses a threat to the little ones. Females, who make nests in which to farrow, usually give birth overnight and are capable of producing a litter every eight to twelve months. The piglets will start on solids at the early age of one week but won’t be full weaned until they are six months old. A final characteristic of note, which also enables identification of pure bred Visayan warty pigs, are the three mammary glands. Other island pigs all have four. Piglets are pale-brown at birth and have four dark stripes running from head to tail. This colouration will slowly fade out over the next twelve months as the pervading hue of adulthood is reached. Recognized as a separate species in 1993, Visayan warty pigs also play a vital role in seed dispersal of some of the more important species of plants within their range. Nearly all (95%) of its natural lowland habitat has gone. The species now occupies degraded habitats wherever there is dense cover available; now mostly over two thousand six hundred feet. Philippines – The islands of Negros and Panay. Earthworms, roots, tubers and forest fruits. Through necessity, they also eat agricultural crops. Severe habitat loss due to logging and clearance for agriculture – notably slash-and-burn techniques. The species is also heavily hunted by locals for food and skins, and by non-local recreational hunters as a means of sport and meat. Farmers see them as pests and kill them. Domestic pigs have been responsible for transmitting disease to the Visayan warty pig and have also caused hybridisation in the wild populations. The Visayan warty pig (Sus cebifrons) is listed on the IUCN Red List of Threatened Species as Critically Endangered. It is not afforded protection under CITES. The species is, however, fully protected by Philippine law. Sadly, due to lack of resources and other contributing factors, enforcement of the law has been very shaky. The Negros Forests and Ecological Foundation Inc. The Visayan warty pig is resident in various zoos across America and Europe. The name lemur is taken from the Latin word lemurēs. Lemurēs were “shades or spirits of the restless or malignant dead and haunters of the night”. Lemurs were probably so named because of their appearance and nocturnal habits. Clearly this legend no longer protects this rare and critically endangered primate. The black and white ruffed lemur, being quite large, is now viewed more as a tangible, edible commodity than an elusive, mythical spectre. Sadly, its distinctive black and white markings, its size and its daylight activity, make it, as you would imagine, hard to miss when sitting in the trees; it is now heavily hunted. Black and white ruffed lemur meat is also expensive and much sought after. But, there is an even broader threat to the existence of the black and white ruffed lemurs – extensive deforestation has left them with very little space to find food and shelter. Their forests have been cleared by slash-and-burn agriculture, logging and mining, greatly endangering the species. With the capacity to produce up to six babies at a time, it would be quite reasonable to assume the species could replenish any losses quite quickly, but unfortunately there is a very high infant mortality rate. The mothers build special nests for their young whilst they await their arrival, well-hidden in trees and ten to twenty metres above the ground. Quite unique, but, sadly many babies fall from the nests and die before reaching a few weeks old, and only around thirty-five per cent survive longer than three months. The ones that do survive don’t have enough trees to live in or live off. They rely heavily upon fruit in their diet and the trees they favour are disappearing at an alarming rate. Black and white lemurs are important pollinators. Though they may well be unaware of this, when feeding on the nectar of the traveller’s palm, they automatically transfer pollen between the flowers, thus ensuring the ongoing success of the palm trees. These lemurs, together with the red ruffed lemurs, are one of the largest of all extant lemurs. Both male and female are the same in appearance and size, and can grow up to four feet in length and weigh up to ten or twelve pounds. They both have soft, thick fur with black and white markings, a ruff of long white fur around the ears and neck, and under the chin. Black and white ruffed lemurs have thick, furry tails. These are longer than the body and are used for balance. They move through the trees and on the ground in quadrupedal fashion. These adorable primates are arboreal and crepuscular (active mainly in the early morning and late afternoon). They normally live in groups consisting of two to five individuals (though larger groups do occur) and communicate using a range of raucous vocalisations, second only to the howler monkey in volume. The most used calls are predator alarm calls, locator calls and mating calls. Choruses can be heard throughout the day but are stepped up during periods of high activity, making these lemurs very easy to find. Lemurs also have an enlarged sensory organ to help read smells, pheromones, and other chemical signals. A peculiar and comical trait of lemurs is their penchant for relaxing while facing the sun. The black and white ruffed lemur is no exception. Arms are usually outstretched as they soak up the sun, as if hoping for the perfect tan. The females in the troop are the dominant members and can, as such, choose their own mates. They also get first dibs on the food. The black and white ruffed lemurs were thought to be monogamous and bond for life, but this has since been disputed. They are now thought to be polygamous. Breeding is seasonal (between May and July) and the gestation period running up to the birth is normally three months. Prior to the birth, the females will build a nest for the imminent arrivals. The nests will made of twigs and leaves and lined with the female’s fur, which she will have pulled out herself. They are the only true lemurs to build nests. Births of six infants have been recorded, and the females do have six mammary glands to support such large births, but the usual number is between two and four. The new babies will stay in the nest until they are about two or three weeks old when they will start to move around after the mother. Whilst very young and still in the nest, mothers carry the young in their mouths and ‘park’ them in safe spots while they forage for food. At about five weeks the infants will start climbing trees. Males are also known to take part in the parenting of the young. The black-and-white ruffed lemur (Varecia variegata) is the more endangered of the two species of ruffed lemurs, both of which are endemic to the island of Madagascar. The other being the red ruffed lemur (varecia rubra). Primary and secondary lowland and mid-altitude rainforest. Lemurs are mainly frugivorous but nectar, flowers, leaves and seeds are also eaten. Habitat loss due to illegal logging, illegal mining and slash-and-burn agriculture techniques. The black and white ruffed lemur are also heavily hunted for their meat. Natural predators include birds of prey, mongooses, fossa and boa constrictors. The black and white ruffed lemur (Varecia variegata) is listed on the IUCN Red List of Threatened Species as Critically Endangered. In fact, all three of the recognised subspecies are classified as Critically Endangered by the IUCN. The species is also listed on CITES Appendix I. Exact population numbers are unknown, but are thought to be declining rapidly. If this species is to survive in the wild, the forest reserves it inhabits need to be better protected. Although they are part of various successful captive breeding programs, which have in turn reintroduced the black and white lemur back to the wild, these programs have ultimately failed the black and white ruffed lemurs because of the lack of safe, natural habitat available for the animals on arrival in Madagascar. The following videos all show animals in captivity, the first two being shot at Sacramento Zoo where this species is bred to “educate the public on how they can help these and other animals in the wild.” I have not been able to obtain any footage of black and white lemurs in the wild. Golden lion tamarins take their name from the magnificent ‘mane’ of golden hair around their necks – bearing a remarkable resemblance to the lions of Africa. There are four species of lion tamarins – all of which are endangered, and all of which are endemic to Brazil. Each species is blighted with the same major threats to its survival; loss of homes due to illegal logging, haphazard cattle ranching and human settlement. Shockingly, the lion tamarins have now been left with only eight per cent of their original habitat. Put another way, a staggering ninety-two per cent of their native Atlantic Brazilian forest has been burned or felled. This has jeopardised their freedom to roam for food, shelter and genetically diverse mates, rendering them one of the most endangered species on the planet. Colonisation is not new to the Atlantic forest. Europeans first settled here in the 1500s. Historically, destruction began with coffee and sugarcane plantations. During the 18th and 19th centuries demand was high for both commodities, heights matched only by the devastation caused by these activities. Despite this, today’s damage far surpasses anything achieved previously. Current deforestation has created a specific danger for young golden lions. These highly sociable little animals are far more exposed in their ‘play areas’ than before, making them vulnerable to predators. Over forty per cent of juvenile tamarins do not live past one year, even in normal circumstances, and this can only add to the difficulties of re-populating the troops. The average lifespan of any golden lion tamarin surviving the age of one, in the wild, is fifteen years. There are several conservation programs designed to combat the decline of the species in the wild. Animals have been reintroduced from various worldwide captive breeding programs, which incidentally move individuals among the various zoos to prevent inbreeding. Survival rates have been notable, but their habitat is now so sparse, the problem with finding suitable homes and feeding grounds has not abated. Fortunately, tourism has also begun to play its part, using the golden lions as a an attraction to be seen rather than harmed. This can only be a step in the right direction. Also known as golden marmosets, the golden lion tamarins are easily recognized New World monkeys that sport a vivid orangey-red coat, with a long mane surrounding a hairless face of dark, rich purple. It has been said that the colour of the coat may have come from direct exposure to sunlight coupled with carotenids in the diet. Golden lion tamarins are callitrichids, which have the defining characteristic of claw-like fingernails on all digits except the hallux (big toe). These adaptations aid climbing, clinging to tree trunks in vertical fashion, quadrupedal movement through the branches and feeding. Both male and female are similar in size reaching a height of about ten inches and weighing an average of one and a half pounds. Golden lions are arboreal, sleeping in tree hollows at night hoping for some protection from predators. Unfortunately, nocturnal predators, such as snakes and wild cats, often get the better of them. When one monkey sees a predator, an alarm call is emitted to warn the rest of the troop. Sadly, this is often too late. These tamarins, like the others, are omnivorous and travel through the branches (at up to 24 miles per hour, no less) to forage during the day. They live in troops of anything up to nine individuals and often these delightful primates share food with each other. Normally these troops would be made up of a male, a female and some younger members of the family. Lion tamarins are monogamous and mating usually takes place at the end of the rains (March to June), after which there is a gestation period of four months. The species is unusual in that twins are normally born. Most primates will give birth to a single infant. Three and four babies have also been known to be birthed, but the chances of survival of all are quite remote. The weakest will usually go first. All group members, especially the father, will help with the care of the babies. Infants are totally dependent on their mothers for the first four weeks. At five weeks they will become a tad more independent and start to explore their surrounding, but still keeping close to mother. Seventeen weeks will see them socialising with others in the troop, and at the age of fourteen months they will be considered young adults. The diminishing Atlantic coastal forests of Brazil. Soft fruits, insects, flowers, nectar, eggs, invertebrates and small vertebrates. Habitat loss and fragmentation due to aggressive logging, reckless agriculture and extensive human settlement. Loss of suitable habitat has made reintroduction to the wild difficult because of the lack of sufficient clustered trees. Though more than four hundred animals have been reintroduced into Brazil since 1984. Capture for the illegal pet trade seriously depleted populations in the past, however, this practice has lessened since laws were passed making the keeping of exotic pets illegal. But, it has not ceased. Natural predators include birds of prey, snakes and wild cats. The golden lion tamarin (Leontopithecus rosalia) is listed on the IUCN Red List of Threatened Species as Endangered. It is also included on the Brazilian Official List of Species Threatened with Extinction (Lista Oficial de Espécies Brasileiras Ameaçadas de Extinção) and on the regional threatened species list of the state of Rio de Janeiro. The golden lion tamarin is protected under CITES Appendix I. Dedicated conservation efforts have brought the numbers of golden lion tamarins from less than two hundred in the wild in the early 1970s, to over fifteen hundred living in the forests today. Approximately four hundred and fifty are known to be living in one hundred and fifty zoos around the world. With destruction levels of South America’s rainforests set to hit an all time high, these wild and beautiful big cats are being forced to move closer to human settlements. This is not their choice, they simply have nowhere else to go. Their habitat is being lost at an alarming rate, and with it most of their wild prey species. Many of the ungulates eaten by the jaguar are also hunted by humans. Over-hunted, in fact. Farmers, who will shoot jaguars on sight, view them as pests, and as a threat to both themselves and their livestock. This, of course, is not without foundation; but when you deprive an animal of its own natural prey, there is a great possibility it will look elsewhere in order sate its appetite. The human population is growing as fast as the forests are disappearing, making it difficult for the jaguar to avoid contact with man, therefore increasing the potential for slaughter. As a result the jaguar has become extremely vulnerable; and he is not the one carrying a gun. Another threat to the jaguar is hunting for pelts. Although there was a huge decline in the 1970s, due to CITES involvement and protest campaigns, the wearing of fur has once again become popular. The age-old demand for paws, teeth and other body parts also continues unabated. The jaguar is the largest cat of the Americas, and the only living member of the genus Panthera found in the New World. After the tiger and the lion, the jaguar is also the third largest cat on the planet. Noted for its power and agility, this iconic animal can weigh anything between one and three hundred pounds, stand three feet at the shoulder and reach as much as six feet in length. These wild and graceful creatures have large, broad heads housing exceptionally powerful, short jaws. One bite is enough to kill its prey. Cats can tear their food and crush it, but are unable to chew. Food is swallowed whole and, when in the stomach, the digestive juices break it down. The base coat of the jaguar varies from yellow to reddish-brown with a white underside. 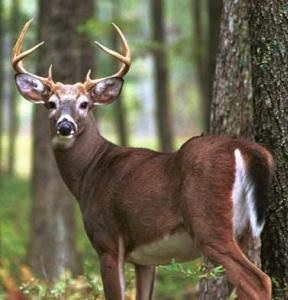 The spots on the head, neck and legs are usually solid, whereas on the back they appear as rosettes with spots in the middle. The pattern of each coat is different and allows for identification of individuals. It also provides perfect camouflage in the undergrowth. When comparing leopard and jaguar, the leopard does not have spots in the centre of the rosettes. This is an easy way to tell the difference at a glance. Melanistic variants commonly occur in jaguars due to a dominant gene mutation. They were once often referred to as “black panthers”. This is, of course, now politically incorrect and they are instead known colloquially as “black jaguars”. They are not, however, strictly black. All the distinct markings of the jaguar are there underneath, but are hidden by the excess black pigment melanin. It is quite possible to see these markings with the naked eye. Melanistic cubs can be born to non-melanistic parents and vice versa. This enigmatic and elusive cat spends its time either resting in the trees or hunting down its prey. It hunts on both land and in water, and is a skilled swimmer. It is capable of moving through the water with astonishing speed and stealth, often pouncing on its prey unannounced. The prey is stalked in silence on huge padded paws, and after one agile leap, rapidly disposed of with a single powerful bite to the neck, suffocating the creature almost instantly. In fact, the name Jaguar is said to come from the Native American word “yaguar” which interprets as “he who kills with one leap”. A solitary creatures, the jaguar will defend its territory fiercely if other males attempt to encroach. This is when those huge canines come into action. Like the tiger, lion and leopard (all genus Panthera) this large felid has the ability to roar, due to the unusual square shape of the vocal chords and the thick pad of elastic tissue towards the front. Cats of the genus Panthera are the only cats which actually can roar. Jaguars only come together to mate. Normally, they are solitary. There is no specific breeding season for the species. It is the mother that takes care of the cubs – the father moves on. As with tigers, there is always the risk of the father killing and eating the cubs. With perhaps this in mind, the mother soon sees him off after the birth if he lingers. Following a gestation period of up to one hundred and ten days, typically, one to three cubs will be born, each weighing one and a half to two pounds. The cubs will be born blind and remain so for the first two weeks of their lives. They will be weaned at three months but will stay in the den, relying upon their mother for food, until they are about six months old. At this age, they will be ready to accompany their mother on small hunts. They will stay with her until they reach maturity and can establish a territory of their own. During this time the cubs will have perfected the art of finding food and shelter, and defending themselves. Females are mature at about three years of age and males four years of age. Jaguars have a vast array of habitats including rainforest, deciduous forest, seasonally flooded swamp, grassland and mountain scrub. They are almost always found living near water. Where habitat is concerned, there are certain criteria essential to maintaining healthy populations: dense cover, plentiful prey and a good supply of water. Remote regions of South and Central America, largely in the moist Amazon Basin. Jaguars are obligate carnivores with a preference for large ungulates. But, they will eat almost anything, including sloth, reptiles, amphibians, fish and monkeys. In all, jaguars are said to prey on over eighty-five species. Extensive and aggressive deforestation, persecution, human conflict, hunting for pelts, and hunting for paws and teeth for mythological reasons. “Those who excelled in hunting and warfare often adorned themselves with jaguar pelts, teeth, or claws and were regarded as possessing feline souls” (Saunders 1998). Although hunting for pelts has declined dramatically over the last thirty years, demand is rising again in the markets, and claws are still seen as having the same mythical properties. The jaguar (Panthera onca) is listed on the IUCN Red List of Threatened Species as Near Threatened (likely to become endangered in the near future). It is also listed on CITES Appendix I. The jaguar is fully protected at national level across most of its range, with hunting either prohibited or restricted. 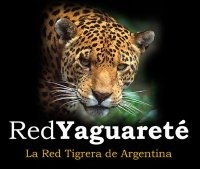 Various groups are involved in Jaguar Conservation. Recovery programs are in place, and there is an active Jaguar Species Survival Plan. Yet the species is still declining! There cannot be many who do not know what a chimpanzee is. It is probably one of the few wild animals most of us will have actually seen first hand, albeit in captivity. But where numbers are concerned, captivity is not the problem per se. It is, of course, a huge failure the way chimps are kept as pets and as items of display, to say nothing of the abhorrent practice of using them in so-called ‘science laboratories’. Currently though, their problem lies in the wild where they are rapidly disappearing down the road marked extinction. Happy as they are to reproduce, they cannot keep pace with the rate at which they are being killed. Killed for their meat: Not just for subsistence – chimp meat now fetches a high price on the open market for those who can afford this shameful diet. Killed for their young: Infant chimps are a valuable commodity on the black market. Killed by diseases introduced by man: Ebola has devastated whole populations. Killed for their body parts: To be used in worthless medicines. Killed in experimental laboratories: In the name of science. Killed by lack of food and shelter: Africa lost 3.4 million hectares of its forested area between 2000 and 2010 (FAO Global Resources Assessment 2010). This included a very high percentage of the chimpanzees’ range. Chimpanzees are one of the five great apes, along with gorillas, bonobos, orangutans and man; of those we are the only ones who are flourishing. Together with their near cousins, the bonobos, chimpanzees are our closest living relatives. We share almost ninety-nine per cent of our genetic blueprint with them, which is close by any standards. Currently there is a great deal of controversy surrounding the status of chimps; whether or not they should be considered as proper legal persons, albeit with limited rights. The argument is not about allowing the normal social liberties associated with being a member of a franchised society, but more about physical freedom and the right to live out their lives in peace, unfettered by the chains of captivity. It is not proposed the chimps roam freely amongst us, hopping on and off planes, trains and buses, but that they are afforded tranquillity, dignity and sanctuary. There are some very interesting links below discussing this and other legislation regarding chimpanzees. There are four sub-species of chimpanzee: The Western chimpanzee (P. t. verus), the Central chimpanzee (P. t. troglodytes), the Eastern chimpanzee (P. t. schweinfurthii) and the Nigeria-Cameroon chimpanzee (P. t. ellioti). All four are endangered. Reasons for this vary with location. Chimpanzees have long arms, and opposable thumbs and big toes. Their faces, ears, palms and soles of their feet are hairless. Their bodies are covered, in some parts thinly, with dark-brown to black hair. They can grow quite large, a male chimp reaching over four feet in height, and weighing on average one hundred and thirty pounds. Females are slightly smaller. Chimpanzees are largely arboreal. They swing through trees in search of food, and build nests in them. They will build a new nest almost every day. They also travel on the ground when covering long distances or in search of food not found in the trees. Although known as ‘knuckle-walkers’, they are capable of standing and walking upright. Chimpanzees do not like water and cannot swim. Any who do fall into water are in danger of drowning. Sounds, facial expressions and body language are all used as forms of communications. In the case of disputes, unlike their gentle cousins, the bonobos, who tend to kiss and make up, chimpanzees will ready for battle. Common chimpanzees can be quite aggressive and have been known to attack humans, too. It is never wise to upset a full-grown male chimpanzee. When angry they are able to draw upon an extraordinary amount of strength and an adult chimp is quite capable of overpowering a fully grown man. But most of all, chimps have become known for their use of tools. Most notably, the modification of twigs for extracting termites from mounds and the use of heavy objects to crack nuts. These are skills that need to be learned. They have also been observed fashioning spears out of small branches to hunt smaller mammals. Chimpanzees breed all the year round. After a gestation period of eight months, a single infant will be born. Twins are rare. Newborns are totally dependent on their mothers (their sole carers) for support for the first two months of their lives. The quality of care the mother gives is essential to the emotional and physical growth and well-being of the infant. This maternal dependency is long-lasting. The relationship is close and they are rarely separated. Babies cling to their mother’s underside at first and progress to the back when they are about five or six months old. By the age of two they will be able to move around and sit unaided, staying very close to mother, and by the age of three they will have started to move a little further away. But it is not until they are five or six years old that they will be fully weaned and virtually independent. A great deal of understanding of the behavioural patterns of the chimpanzee can be attributed to the ongoing work of primatologist, Dr Jane Goodall. Best known for her study of wild chimpanzees in Gombe Stream National Park, Tanzania, Dr Goodall continues to support the chimpanzees to this day, at the age of seventy-nine. She began her life’s work in 1960 and founded Gombe Stream National Park in 1965. Tropical low altitude evergreen forest, mountain forest and forest-savannah mosaic. West and Central Equatorial Africa. Mainly fruit, chimpanzees love fruit, but they also eat plants (all parts) and insects. And, contrary to popular belief, chimpanzees are meat-eaters and will indulge themselves in other small mammals from time to time. 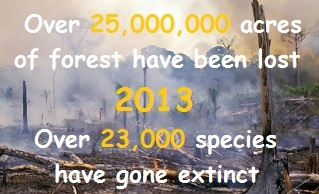 Habitat destruction caused by logging, mining, agriculture and road building. Excessive poaching for bushmeat and the taking of live infants for the illegal pet trade (and it is surprisingly easy to buy a chimpanzee on the internet). In some areas, chimpanzees are hunted for their body parts for use in Traditional medicine. They are also used extensively in scientific research. Human conflict over crops is another large problem. But the major threats to chimpanzees are the diseases passed on by humans. In particular, the Ebola virus. The common chimpanzee (Pan troglodytes) is listed on the IUCN Red List of Threatened Species as Endangered. All chimpanzees are listed under CITES Appendix I and as Class A under the African Convention. The United States Fish and Wildlife Service classifies the species as endangered in the wild, and threatened in captivity. It is thought there are no more than 150,000 to 250,000 common chimpanzees left in the wild today. This may seem a lot, but compared to the million or so which once roamed free in Africa, it is hardly surprising they are now considered endangered. Man is killing them faster than the apes can reproduce themselves. In some regions, the population has declined by 90% over the past twenty years. In others, the common chimpanzee is now extinct. Untold numbers of captive individuals exist in zoos, science laboratories, and private homes and establishments. If more robust action is not taken soon to curb the slaughter of these delightful apes, and the spread of disease is not brought under control, there is a real possibility the chimpanzee may soon be extinct in the wild. During the conflict in the Democratic Republic of the Congo, the people were not the only ones to suffer. Populations of gorillas were depleted dramatically. This highly biodiverse country is among the poorest in the world and this species was, and still is, greatly exploited as a food source. Mothers have been slain and babies sold on the black market, and parts of the animals have been traded for medicinal usage. The species can currently be found in an area where refugees, poachers and militia still abound. The Eastern lowland gorilla, also known as Grauer’s gorilla, is the largest of all the gorilla species and one of the five great apes; in the company of orangutans, chimpanzees, bonobos and man. It is one of two sub-species of eastern gorilla found in Africa. The other is the critically endangered mountain gorilla. The eastern lowland gorilla is far more numerous than the mountain gorilla, but none-the-less, still endangered. Having heavy bodies, large hands equipped with opposable thumbs, short muzzles and dark-grey to black coats, this species is well-adapted to jungle life. The backs of the male gorillas, upon reaching maturity, will change to a silvery-white colour, giving rise to the name ‘silverback’. Faces are hairless, as are hands, ears and feet. As the animals reaches maturity, the chest will lose hair, too. Fully grown male Eastern lowland gorillas can weigh up to four hundred pounds and reach a height of five and a half feet when upright. There is one documented case of a silverback reaching five feet eleven inches – but this is rare. Gorillas are diurnal and do most of their foraging early morning and late in the day. The rest of their time is spent sleeping, playing and socially grooming. Gorillas build, sleep and birth in nests in the trees. They live in groups of thirty-five to fifty individuals, with the most dominant silverback at the head of the group. Gorillas, like other primates, have various means of communicating with each other and intruders. In the case of unwanted callers, males defend their territory, females and babies with a combination of sheer bulk and flamboyant displays of charging and chest beating. Barks, hoots, roars and screams complete this intimidating package. Visual gestures, body language and facial expressions are also forms of communication. Gorillas are polygynous. There is no set breeding season and the dominant silverback will father most of the offspring. After a gestation period of about eight and a half months, one infant will be born (very occasionally two). Infants weigh roughly four and a half pounds. Newborns can crawl after nine weeks and walk at eight to nine months. They will nurse for three years or more, remaining in the mother’s nest. Full maturity comes at about twelve years of age. Females give birth only once every three or four years. Unfortunately, there is a very high infant mortality rate. This greatly affects the Eastern lowland gorilla’s ability to replenish its numbers. Montane, transitional and lowland tropical forests. Plants, leaves, stems and bark, fruits and seeds. They also occasionally consume ants and termites. Loss of habitat due to agricultural expansion, degradation of habitat from illegal logging, illegal mining and road building for the same, and charcoal production. Poaching for bushmeat and medicine, and the capture and trade of baby gorillas has had a detrimental affect on the population, due to the slow reproductive rates of this already diminishing species. Disease; epidemics such as ebola and diseases passed on by humans are also a large threat. The Eastern lowland gorilla (Gorilla beringei graueri) is listed on the IUCN Red List of Threatened Species as Endangered. “Today, the remaining Grauer’s Gorilla populations are small and localised and occur in regions of intense illegal mining activity and insecurity,” said Stuart Nixon of Fauna & Flora International. “Until we can complete the much-needed surveys, our best guess is that between 2,000 and 10,000 gorillas remain in 14 isolated populations. Without a dedicated effort, the next 10 years will be marked by continuing local extinctions of this forgotten gorilla” (see related articles below). Other organisations, such as WildLife Direct (also see related articles below), have their own worthy conservation programs for the gorillas. WildLife Direct- Keeping our gorillas safe and healthy! What is it about bears! You would think they would be revered on account of their size alone. And, in the case of this bear, its name. After all, Inti or Apu-punchau, the Inca Sun God was worshipped by so many for so long. But, these bears have not been afforded the same courtesy. Instead these poor creatures are persecuted beyond belief. Just like their cousins, the Asiatic black bears, they are trapped and incarcerated for their fur, bile and gall bladders. Traditional Chinese Medicine is claiming their body parts and the paws of the bear are sold as a delicacy in restaurants. Their habitat is being destroyed at an alarming rate and, on top of all that, the ill-informed seem to think bear cubs make good pets (after killing the mother, that is). All-in-all, a sad indictment of man’s behaviour toward animals. Although considered a large animal, Malayan sun bears are the smallest of all bear species, with, incidentally, the largest canines. Reaching a maximum length (males) of almost four and a half feet, they can weigh up to one hundred and forty-four pounds. Males tend to be a lot larger than females. Malayan sun bears (or honey bears as they are sometimes known) have short, smooth, water-repellent, dark-brown to black fur, with an orangey/yellow bow-shaped mark on their chests. The same colour of fur surrounds the muzzle and the eyes. The skin around the neck is loose, allowing the bear to twist and bite its attacker when necessary. They have strong paws with hairless soles and long curved claws. Their snouts are flexible and they have extraordinarily long tongues – an adaptation for gathering termites from the nests and mounds. Sun bears have very poor eyesight, but a keen sense of smell, which helps them to detect food. They are good climbers and can often be found resting in trees. Despite being the smallest of the species, sun bears can be quite aggressive, and there have been recorded unprovoked attacks. Sun bears have been observed living together whilst raising cubs, but, usually they are solitary and the mother and cubs are the only ones to stay together. Living in a tropical climate, with an all-year-round supply of food, the need to hibernate does not arise. There is no specific breeding season. The gestation period following mating is roughly ninety-six days. One to three tiny, altricial (furless, eyes closed and dependent upon the parent) cubs will be born. The cubs will continue to nurse for about eighteen months. Cubs remain with their mothers until fully grown and are able to fend for themselves. Female bears use holes inside large, old hollow trees to birth the babies. Tropical evergreen rainforest including swamps and limestone/karst hills, and lower montane forest. Bangladesh, Brunei, Darussalam, Cambodia, China, India, Indonesia, Lao People’s Democratic Republic, Malaysia, Myanmar, Thailand and Viet Nam. Fruit (especially figs) and berries, insects, small vertebrates, eggs, honey and termites. They use their very long tongues to access the mounds and nests of termites, the hives of bees and tree holes with insects. In most countries: Habitat loss due to plantation development, unsustainable logging practices, illegal logging both within and outside protected areas. Commercial poaching of bears for the wildlife trade is a huge threat. Other reasons for killing bears include: Crop damage, capture of cubs for pets (the mother being killed in the process) and commercial hunting. On the islands of Sumatra and Borneo: Large-scale conversion of forest to oil palm plantations. In Myanmar, Thailand, Lao PDR, Cambodia and Viet Nam: Sun bears are commonly poached for their gall bladders and paws; the former is used as a Traditional Chinese Medicine, and the latter as an expensive delicacy. In China and Viet Nam: Bile is milked from commercially farmed bears; however, although sun bears can be found on these farms, the majority of bears used in this practise are Asiatic black bears. Bears are routinely removed from the wild to replenish stock on these small farms. The Malayan sun bear has few natural predators. The Malayan Sun Bear (Helarctos malayanus) is listed on the IUCN Red List of Threatened Species as Vulnerable (considered to be facing a high risk of extinction in the wild). It has been listed on CITES Appendix I since 1979. Killing bears is illegal in all range countries. However, little enforcement of these laws occurs. It has to be said, the areas which need patrolling are vast, making this an overwhelming task for rangers. But, given exploitation for body parts is expected to continue, these bears will be gone if something effective is not done soon. . In Thailand alone, it is estimated that commercial poaching of sun bears has reduced their numbers by 50% over the last twenty years. This article is not about sun bears, it is about a baby bear tormented by children in Canada. It happened in 2012. What is noteworthy is the appalling stance the comments took towards the bears, and the unacceptable ‘kids will be kids’ attitude conveyed by those who clearly thought this behaviour was acceptable. No wonder so many abuse animals if this is the sort of message children are receiving in a supposedly civilised western country. Though, I very much doubt this article reflects the good Canadian people in general.